Middlesex Savings Bank threw us an exciting challenge with a next level security vetting process. Having already collaborated with multiple financial institutions, our developers are well versed in creating beautiful, functional websites for our banking clients. As the site was being developed we subjected it to multiple penetration tests to ensure the security of the site was top notch. 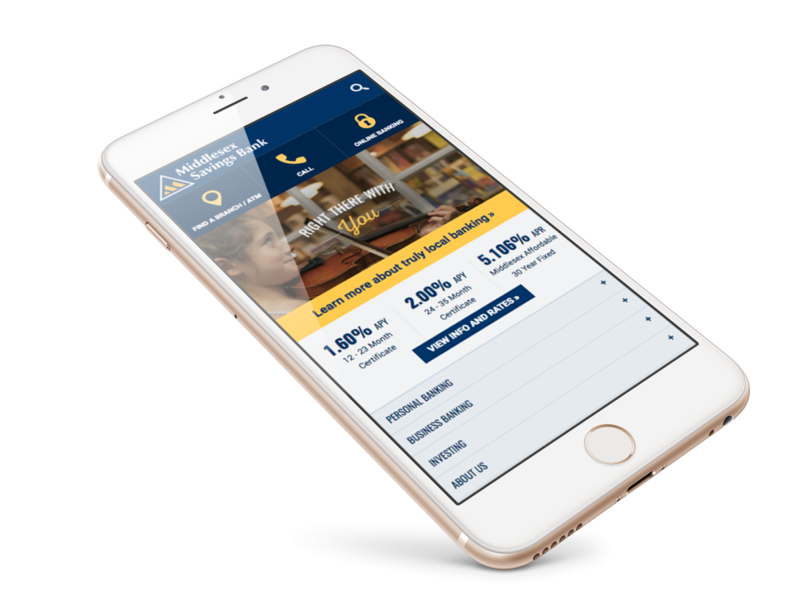 This site also featured a custom branch/ATM locator app, a login form integration with 3rd-party online banking, and automatic updates of mortgage and other interest rates.